#ManCandyMonday Kit Harrington – on the wall, against the wall… any way works. 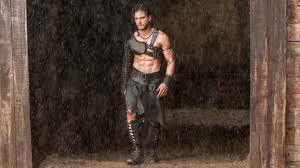 Jon Snow, or Kit Harrington, either way you would spend time on the wall with him, wouldn’t you? On the wall… against the wall… on your knees… yup, all that imagery works for me. On a side note, it’s not a kilt he’s wearing but he’s rocking that look too.